Ivysaur is, again, good proof that the middle evolution of a triad of evolutioners isn't so hot. As we touched on with Wartortle, the starters are all good in exactly one area, and then average or below average in the rest. 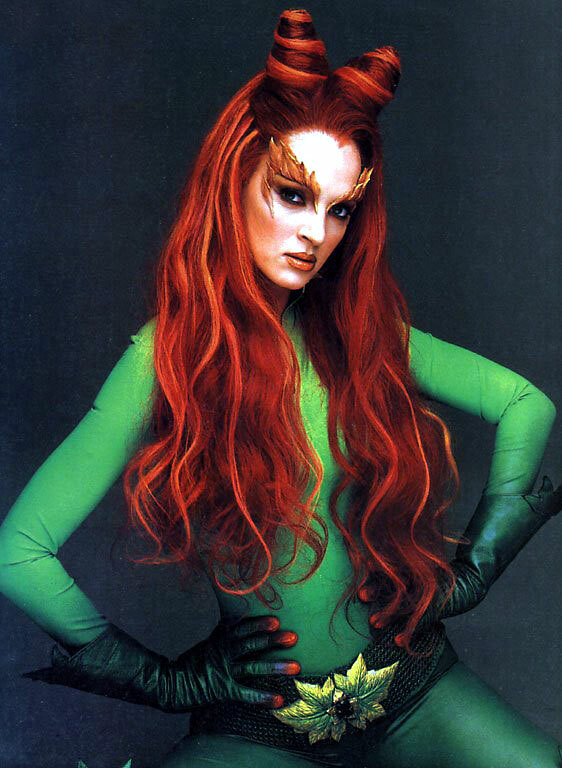 Ivy at least outdoes its same-name counterpart from Batman & Robin, but unfortunately, Batman & Robin Ivy is not a Pokemon, so that doesn't count for anything. Ivy's specialty is...well, its Special rating, which gives it a puncher's chance against the inevitable Psychic-type that'll come in to take out Ivysaur, because it's part Poison, too. So that's a weakness against the sleep-deprived monster. I'm just guessing it's sleep-deprived because of those red eyes! Another weakness is that movepool. There's just not a whole lot to work with, here. Your best bet is MAYBE trying the ol' Sleep Powder/Leech Seed/Toxic combo, and then tacking on Solarbeam (which takes an extra turn due to "charging up," and I was never a fan of that) or Razor Leaf (which has a weak base power, but almost always got a critical hit in those days, so I love it). You could also do Mega Drain to get some health back when you attack, but it won't be much, since MD is pretty weak. I'm also curious if that flower sprouting on the back of Ivysaur is the source of its power. I thought I remembered someone mentioning that (possibly a Pokedex entry). If that's the case, a weed whacker could easily just get rid of this thing, right? If I can use the same attack against dandelions that I can use against Ivysaur, you ain't gettin' too high on my list.